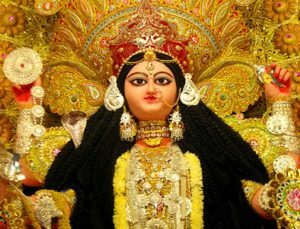 Jagaddhatri Puja is a festival is predominently observed in Bengal where they worship mother Durga in various forms at different times of the year. Mother Durga has hundreds of names according to her various pastimes; such as Durga for killing the demon Durg, some of her famous names are Amber, Chandamsi, Vaglar Mukhi, Kali, Jagaddhatri, etc. Jagaddhatri means “protector of the world”. Enter into Isvara Archive ocean of knowledge.